Can Philly work its magic to revive Vince Young’s career? For the National Football Authority, we discuss whether QB Vince Young’s career can be revived in Philadelphia like Michael Vick’s was. Click here to go to the story to find out what’s wrong with Young, what signs of hope there are, and what skill the Eagles can help him with most. The NFL free-agent market opened with a flurry, and in this post we’ll try to make sense of it all. We’ll discuss all the major signings between the resumption of play and the August 4 date on which veteran signees could begin practicing. Panthers (keep DE Charles Johnson, RB DeAngelo Williams, and OLBs Thomas Davis and James Anderson; add NT Ron Edwards, PK Olindo Mare, QB Derek Anderson, TE Ben Hartsock, LB Omar Gaither and Safeties Kevin Payne and Sean Considine) – We discussed Johnson in this post and Williams in this post. Davis is a major impact player who has fought major knee injuries the last few years. While he wasn’t technically a free agent, the team had agreed to either re-sign him or cut him. So Davis got a five-year deal. So did Anderson, who stepped into the starting lineup when Davis was out last year and played quite well. He got a five-year, $22 million contract with an $8.5 million signing bonus. Anderson’s emergence will let the Panthers move Jon Beason back to middle linebacker, and it will give Carolina a powerful LB corps. Edwards fills a major need for the Panthers, who had terrible defensive tackle play last year. That’s why they gave him a solid three-year, $8.25 million deal. Even though the Panthers run a 4-3, they traditionally put one of their tackles right over the center, so Edwards fits in as he moves over from a 3-4. The Panthers gave Mare a four-year, $12 million deal with a $4 million signing bonus. Mare has been terrific the last three years inSeattleafter a mid-career lull, and he’s got a powerful leg on kickoffs. That gives him an edge over Panthers fan (and owner) favorite John Kasay, who’s remained good on field goals into his 40s but who can’t kick off reliably anymore. Anderson, who played for new Panthers offensive coordinator Rob Chudzinski in Cleveland, comes on board as the veteran quarterback who can start Week One if Cam Newton isn’t ready. Hartsock, an ex-Cardinal, got a two-year deal to replace Jeff King as a reliable blocking tight end. Payne, who sat out last year, was a decent starting safety in Chicago and should be worthy of a roster spot. He may have to beat out Considine, a decent safety and strong special-teamer, to win that spot. The Panthers also extended the contract of Pro Bowl MLB Jon Beason. Gaither busted out as a starter in Philadelphia last year, but he’s pretty good insurance against another Thomas Davis injury at strong-side linebacker. Like Considine, Gaither played for new Panthers defensive coordinator Sean McDermott in Philadelphia. Eagles (add CB Nnamdi Asomugha, DT Cullen Jenkins, DE Jason Babin, QB Vince Young, OG Evan Mathis, RB Ronnie Brown, OT Ryan Harris, DTs Derek Landri and Anthony Hargrove, S Jarrad Page, TE Donald Lee, and WR Johnnie Lee Higgins) – We discussed the major Asomugha move in this post. Jenkins moves over from Green Bay for a five-year, $25 million deal to provide a pass-rush push inside. He was one of the best defensive linemen on the market, and the Eagles adding him is a big upgrade. Jenkins played in a 3-4 last year, but he’s played in a 4-3 as well, which speaks to his versatility. Babin, who was a first-round pick in Houston once upon a time, bounced around the league (including Philadelphia) before having a breakout season in Tennessee last year. His DL coach with the Titans, Jim Washburn, is now in Philadelphia, so it makes sense that Babin would follow him to the City of Brotherly Love. Babin got a five-year deal worth up to $28 million (but with just $6 million guaranteed) to help the Eagles ramp up their pass rush. Young, who was released by the Titans, gets a one-year deal to back up Michael Vick. Despite his off-field reputation, he’s a pretty good insurance policy for the Eagles, and they could revive his career. Mathis looks to be a backup in Philadelphia, but he’s been a pretty decent starter at guard in the past. That’s a nice addition for depth. Brown may be starting the downhill part of his career, but he provides nice insurance behind starting RB LeSean McCoy. Harris was a good starter at right tackle at times in Denver. He adds depth but could challenge holdover Winston Justice for a starting shot. Landri and Hargrove add depth at a thin position. Landri probably fits better as a spot player; Hargrove can provide some interior pass rush. Page adds depth at safety, which is a young position on the roster. Lee is a blocking tight end with experience in the West Coast offense. Higgins has good return skills but will have trouble cracking the Eagles’ deep WR rotation. Jets (keep WR Santonio Holmes, CB Antonio Cromartie, OT Wayne Hunter, PK Nick Folk, CB Donald Strickland, Safeties Brodney Pool and Eric Smith, and QB Mark Brunell; add WR Plaxico Burress and S DaJuan Morgan) – We discussed Holmes’ signing and how it establishes him as a No. 1 receiver in this post. Cromartie was the consolation prize after the Jets missed out on Nnamdi Asomugha. Cromartie isn’t the shut down corner that Asomugha or Darrelle Revis is, but he’s good enough to make it hard on opposing quarterbacks. Plus, he’s dangerous if he ever gets the ball in his hands. He got a four-year, $32 million deal. Hunter, who filled in for an injured Damien Woody at right tackle last year, got a four-year, $13 million deal to take Woody’s place permanently now that Woody has retired. Folk performed well in his first year as a Jet and got a one-year deal to return. Strickland, Pool, and Smith are solid players who fit in well in the team’s DB rotation. Smith and Pool fit in as starters; Strickland a nickel back. Morgan adds depth at the position. Burress got a one-year, $3 million contract to replace Braylon Edwards as a starter across from Holmes. It’s a bit of a gamble for the Jets to rely on Burress, who has missed the last two seasons because of his legal problems, but if he’s the same player he was with the Giants he’ll be a nice addition. Brunell came back after being cut. Chargers (add ILB Takeo Spikes, OLB Travis LaBoy and WR Laurent Robinson; keep S Eric Weddle, OT Jeromy Clary, TE Randy McMichael, S Bob Sanders, OLB Antwan Barnes, NT Jacques Cesaire, and QB Billy Volek) – Spikes, who played for new Chargers defensive coordinator Greg Manusky in San Francisco, is a solid veteran who is still a reliable run-down tackler. He’ll be a good fit in the Chargers’ 3-4 defense, even if his three-year, $9 million deal with a $3 million signing bonus is a little rich given his age. LaBoy is another vet who is a solid but unspectacular outside linebacker. He’s shown pass rush ability in the past, but not in recent years. Weddle was the Chargers’ biggest free agent, and they paid big money to keep him – a five-year, $40 million contract with a $13 million signing bonus and $19 million guaranteed that his agent claimed as the richest contract ever for a safety. Weddle may not be the best safety in the league, but he’s very good. His range at free safety is remarkable, and his presence allows the Chargers more flexibility in pass coverage. They simply couldn’t afford to lose him. Clary got a four-year deal to continue to play right tackle, even though his pass blocking has been suspect. McMichael provides insurance against Antonio Gates injury, while Sanders brings a veteran influence and hard hitting to the strong safety position if he can stay healthy. Barnes bounced around last year but finally found a home that matches his pass-rush skills in San Diego. Cesaire has started at nose tackle the last couple of years and played well. His return stabilizes the front line, because he does a nice job against the run. Volek is a solid veteran hand backing up Philip Rivers. The Chargers know he can be a solid short-term replacement if Rivers were to get injured. Robinson has been hurt a lot, but he’s big and fast. If healthy, he could help replace Malcom Floyd. Redskins (keep WR Santana Moss, OT Jammal Brown, CB Philip Buchanon, DE Kedric Golston, and S Reed Doughty; add DT Barry Cofield, DE Stephen Bowen, CB Josh Wilson, WR Donte Stallworth, QB Kellen Clemens, and OL Chris Chester) – We discussed Moss in this post. Cofield was one of the big prizes of the free agent market, and might have been the best defensive tackle available. But it’s odd for Cofield, who thrived in a 4-3 last year, sign to play in a 3-4 in Washington. Maybe he will provide the Redskins a lot of scheme flexibility, but there’s a strong chance he’ll end up being a square peg trying to fit a round hole. That’s not what you want in a guy you’re giving a six-year megacontract. Bowen, who got a five-year, $27.5 million contract with a $12.5 million signing bonus, is a perfect fit for the system. He’ll step in as a solid five-techinique defensive end, and he’ll really improve the front. With Bowen and Cofield, the Redskins have taken a nice step forward up front. Wilson is a much better fit. He had a nice year in Baltimore last year, and he should provide an upgrade over the departing Carlos Rogers across from DeAngelo Hall. Wilson signed for a reasonable deal as well – three years, $13.5 million with $6 million in guarantees. We discussed all of these defensive additions in this post. Stallworth, who signed a one-year deal, adds depth to a receiving corps that is young aside from Moss. He’s likely a No. 4 receiver at best, but he still does have downfield speed. Clemens never made much of an impact as a second-round pick with the Jets, but like John Beck at one point he was a hot prospect. Clemens likely fits in as a No. 3 QB. Chester, who has been starting at guard for the Ravens, comes over to address a big need on the interior of the Redskins line. He got a five-year contract worth up to $20 million. Brown got a five-year deal to return and play right tackle. He didn’t have his best year last year, but he’s talented enough to play left tackle or right. Buchanon adds depth at corner, but he will miss the first four games of the season because of a league suspension. Golston is a decent backup lineman. Doughty adds depth at safety. Seahawks (add WR Sidney Rice, TE Zach Miller, QB Tarvaris Jackson, OG Robert Gallery, DTs Alan Branch and Ryan Sims, DE Jimmy Wilkerson, and PK Jeff Reed, ; keep DT Brandon Mebane, CB Kelly Jennings, RB Michael Robinson, LB Leroy Hill and DT Junior Siavii) – Once Santonio Holmes re-signed with the Jets, Rice was the best receiver on the market, and Seattle stepped up to sign him to a five-year, $41 million deal with $18.5 million guaranteed. Rice fought injuries last year, but he showed in 2009 that he can be an elite downfield receiver because of his great size and ball skills. His presence will let Mike Williams settle in as a solid No. 2 receiver and shore up a trouble area. Miller, who was a fine receiving tight end in Oakland, wasn’t at a position of need, but his talent was strong enough that the Seahawks gave him a big deal (five years, $34 million, with $17 million guaranteed). He’s a big-time receiving threat. The question is who will get Rice and Miller the ball. The Seahawks couldn’t come to a deal with Matt Hasselbeck, and to replace him they brought in Jackson on a two-year, $8 million deal that basically puts him on equal footing with Charlie Whitehurst. Jackson fell far out of favor with the Vikings last year, but he played well down the stretch in 2008 before Brett Favre hit town. Seahawks offensive coordinator Darrell Bevell was with the Vikings at that point, so he knows Jackson’s ability and potential. Still, Jackson will have to grow more consistent and protect the football if he is to knock off Whitehurst and seize the starting job. Gallery was a bust as a tackle, but he’s played well as a guard. Former Raiders head coach Tom Cable is now in Seattle, so he must trust that Gallery can add veteran experience to an offensive line that’s young at tackle with Russell Okung and James Carpenter. Branch was a disappointment in Arizona, but he is huge and moves well, so the Seahawks will try to unlock his potential. Branch got a two-year, $8 million deal with $4 million guaranteed. Mebane was a huge retention for the Seahawks. He was one of the top defensive tackles on the market and had several suitors. Now he returns to create havoc up front. Having a wide body like Branch alongside could allow Mebane to penetrate even more. Robinson is a backup running back who is a decent receiver as well. Hill had played well for the Seahawks in the past, but off-field issues have limited his impact in recent years. Still, he has talent. Siavii adds depth inside. Sims and Wilkerson provide depth. Reed replaces the departed Olindo Mare. Jennings is a good but not great corner who’s probably better suited to play in a nickel set than as a starter. 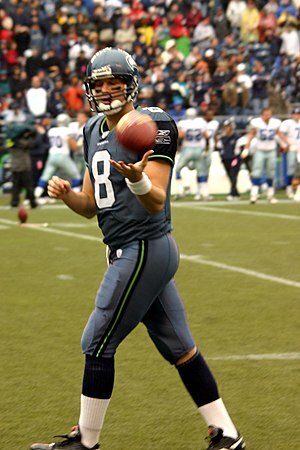 Titans (add QB Matt Hasselbeck, LB Barrett Ruud, DT Shaun Smith and TE Daniel Graham; keep OG Leroy Harris, FB Ahmard Hall, and DEs Jacob Ford and Dave Ball) – The Titans stole Hasselbeck away from the Seahawks with a multiyear deal. The move will allow the team to develop rookie Jake Locker slowly, and and it will also help the Titans compete in the short term. Hasselbeck should have the personality to mentor Locker, but he’ll have to play better than he has the past 2-3 years if he is to really make the Titans contenders. Still, the team needed a veteran QB, and Hasselbeck was the best available. Smith has a reputation of crossing the line, but he played well for the Chiefs last year. He’s capable of starting and holding his own. Ruud, who was a tackle machine in Philadelphia, isn’t the thumper that departing MLB Stephen Tulloch is, but Ruud brings more athleticism to the position. The Titans will be able to play a little differently with him in town. Harris got a two-year deal to return as a starting guard, but he needs to continue to develop into that role. Graham is a solid blocking tight end with some receiving skills who will help to replace Bo Scaife. Hall is a solid blocking back who had options elsewhere but returned. Ball and Ford are not world-beaters, but they’re at least rotation-quality defensive ends who can hold up on run downs. Neither is going to create a ton of pass rush, though. Texans (add CB Johnathan Joseph, S Danieal Manning FB Lawrence Vickers, and P Brad Maynard; keep WR Jacoby Jones, OT Rashad Butler, QB Matt Leinart, and DT Damione Lewis) – The Texans have a lot of talent, but secondary play was their tragic flaw last year. They addressed it with two big signings. Joseph, regarded as the second-best corner on the market, got a monster five-year, $48.75 million deal with a $12.5 million signing bonus to be the lead corner. He played really well in Cincinnati, and he’ll be a huge upgrade. Manning, a versatile player who struggled to find just the right fit in Chicago, comes in to play free safety. He has immense talent if the Texans can figure out where to play him. Manning got a four-year, $20 million deal with $9 million in guarantees. Jones got a three-year, $10.5 million contract with $3.5 million in guarantees in the hopes that he’s ready to fulfill his vast potential and emerge as a starter opposite Andre Johnson. The skills are there; the question is whether Jones can unlock them. Butler started four games at tackle as a fill-in last year. Leinart got a two-year, $5.5 million deal with $3.75 million guaranteed, which means the Texans expect him to compete with Dan Orlovsky for the backup spot behind Matt Schaub. Lewis got a one-year deal to play in Houston’s new 3-4; he played in a similar scheme in New England. Vickers, an ex-Brown, replaces Vonta Leach as a blocking fullback. Vickers isn’t as good as Leach, but he’s pretty good. Maynard started to fall off last year, but the vet may find punting easier in warm Houston than it was in cold Chicago. Ravens (keep OG-OT Marshal Yanda, CB Chris Carr and LB Prescott Burgess; add FB Vonta Leach and S Bernard Pollard) – Yanda, who for years was a solid guard for the Ravens, moved out to right tackle last year and continued to play well. His strong play led to a strong market for his services, but the Ravens stepped up to keep Yanda with a five-year, $32 million deal with a $10 million signing bonus. Yanda is dependable, and his versatility will help him continue to make an impact through the length of the deal. That should make this a good deal for the Ravens. Burgess fits in as a backup outside linebacker. Carr is a solid nickelback who got a four-year deal to return. That’s important, especially after the Ravens lost two secondary starters – Dawan Landry and Josh Wilson – via free agency. Leach got a three-year, $11 million deal to replace LeRon McClain and Willis McGahee in the fullback role. Leach isn’t a great runner, but he’s a terrific blocker and will help Ray Rice tremendously in that role. Pollard is a great in-the-box safety who isn’t great in coverage. His skills mirror Dawan Landry, so he’s a decent replacement despite being older. Rams (add S Quintin Mikell, OG Harvey Dahl, WR Mike Sims-Walker, DTs Justin Bannan and Daniel Muir, CB Al Harris, LBs Zac Diles and Brady Poppinga, and RBs Jerious Norwood and Cadillac Williams) – The Rams had to cut FS O.J. Atogwe back before the lockout because of a huge escalator, and that was a huge loss. To replace him, they broke the bank for Mikell, an eight-year vet who has emerged as a top safety the last year or two. Mikell got a four-year deal worth $27 million with $14 million guaranteed, so he’ll need to continue to play at an elite level to be worth the price. But his presence will help the Rams defense continue to grow. Dahl is a good guard in large part because of his physical, borderline-dirty style of play. He’ll add an edge up front for a Rams line that features young OTs Jason Smith and Rodger Saffold and C Jason Brown. They could become one of the best front fives in the league now that Dahl’s in town on a four-year deal. Sims-Walker is a big receiver who’s more talented than any on the Rams’ roster. Since Mark Clayton isn’t yet healthy enough to play, MSW could be the Rams’ No. 1 option. Bannan, who got a three-year deal, is a versatile lineman who got cut after a scheme change in Denver. He can be a decent backup inside or outside. Muir, who got a one-year, $1.85 million deal, is in the same boat. Both add good depth. Harris got a one-year deal to see if he can resuscitate his career. He adds veteran wiles at least. Diles is an athletic weak-side linebacker. Poppinga can play outside as well. Norwood and Williams add depth at a position that was razor thin behind Steven Jackson last year. Both are great on third-down; the question is whether one or both can stay healthy. Jaguars (add MLB Paul Posluzny, OLB Clint Session, S Dawan Landry, CB Drew Coleman, and OG Jason Spitz) – The Jaguars made their splash by signing two linebackers to fix a trouble spot. Posluszny, an ex-Bill, got a six-year, $45 million contract that includes $15 million in guarantees. Posluszny is an athletic player who fits best in a 4-3 like the Jaguars run, not in the Bills’ 3-4. He’s a reliable tackler who also has the athletic ability to get deep in coverage, and he fills an area that was a problem for Jacksonville last year. The price was high, but the fit seems right for the Jaguars. Session, an ex-Colt, got a five-year deal worth $30 million with $11.5 million in guarantees to play on the weak side. He’ll add even more ranginess to the group. After building the defensive line through the draft the last few years, the Jaguars hope Posluszny, Session, and holdover Daryl Smith are ready to make the front seven formidable. Landry got a five-year deal to address safety, which was another big trouble area. Landry’s better in run support than coverage, but he’s a lot better than what Jacksonville had at the position. Coleman, who got a three-year, $7.4 million deal, is better playing in the slot than outside, but he will help a trouble area. We discussed all of these Jaguars defensive moves in this post. Spitz will get a chance to start a left guard. Colts (keep QB Peyton Manning, PK Adam Vinatieri, S Melvin Bullitt and RB Joseph Addai; add QBs Dan Orlovsky and Nate Davis, LB Ernie Sims, DE Jamaal Anderson, and DT Tommie Harris) – Manning, who was the franchise free agent for the Colts, had some tense moments of negotiation but eventually re-signed for a massive five-year, $90 million deal. He tried to take a little less money to make room for the Colts to re-sign some key players such as Addai, who is still the best back the Colts have despite his age and fragility. Vinatieri got a three-year deal to remain as the Colts’ dependable clutch kicker. Bullitt, who missed most of last season, also got a three-year deal. He’ll be in the mix to start at safety. After Orlovsky was cut by Houston, he quickly got a new gig in Indy. He’ll be an upgrade at backup quarterback. Davis, a bust as a 49ers draft pick, gets a two-year deal in Indy to compete with Curtis Painter for the No. 3 job. We discussed the Colts’ additions of three former first-rounders – Harris, Sims, and Anderson – in this post. Falcons (add DE Ray Edwards; keep OT Tyson Clabo, OG Justin Blalock, and OLBs Stephen Nicholas and Mike Peterson) – Edwards, the second-best defensive end on the market behind Charles Johnson, got a solid but not earth-shattering deal to come to Atlanta – five years, $30 million with $11 million guaranteed. He’ll add pass rush and allow the Falcons to use John Abraham more strategically. That kind of pass rusher was one of the biggest needs for the Falcons, and Edwards was one of the best available. That’s a win for the Dirty Birds. Atlanta fought off a major challenge from the Bills to keep Clabo, who provides physical play at right tackle. The Falcons, who had three OL starters hitting free agency, gave Clabo a five-year, $25 million deal with $11.5 million guaranteed to stay. Blalock got a six-year, $38 million deal to return at left guard. Clabo and Blalock will stabilize a run game and give the Falcons more flexibility with their other guard spot. Nicholas has emerged as a quality outside ‘backer for a Falcons defense that is strong at that left. He got a five-year, $17.5 million contract that includes $7 million in guarantees to stay and help the Dirty Birds get over the hump. Peterson, who plays at the other outside linebacker spot, returns as well. He’s got a ton of experience and still drops into coverage pretty well. Cowboys (keep OT Doug Free, DEs Marcus Spears and Jason Hatcher, OL Kyle Kosier, and S Gerald Sensabugh; add DE Kenyon Coleman and S Abram Elam) – The Cowboys had to cut a bunch of salary just to get under the salary cap, but they kept cutting to make sure they could keep Free, who emerged as a starting left tackle last year. Dallas fought off Tampa Bay by signing Free to a four-year, $32 million contract with $17 million in guarantees. If Free develops into an above-average left tackle, he’ll be worth that deal, and he’s young enough to do so. That makes this a wise investment for Jerry Jones. Kosier is a versatile player who can start inside. He got a three-year, $9 million deal. Spears got a five-year, $19.2 million deal to stay and play defensive end. He became a priority when Stephen Bowen went to the division rival Redskins. Hatcher got a $2.5 million signing bonus on a three-year, $6 million deal to help out in the defensive end rotation as well. To add depth after Bowen’s departure, the Cowboys brought in Coleman, a veteran who played for new defensive coordinator Rob Ryan in Cleveland. Elam is another Cleveland import. He’ll team with Sensabaugh, who played well in Dallas last year, to improve Dallas’ safety situation. Both Sensabaugh and Elam got one-year, $2.5 million contracts. Steelers (keep CBs Ike Taylor and William Gay, OT Willie Colon, OG Jonathan Scott, NT Chris Hoke, RB Melwede Moore, PK Shaun Suisham and P Daniel Sepulveda; add TE John Gilmore) – Taylor, regarded as one of the best corners on the market, stays in Pittsburgh on a four-year deal. His physical style fits the Steelers’ system well, and the system keeps him from being exposed in coverage. He wouldn’t fit any other scheme as well. Gay isn’t as good as Taylor, but he’s been a decent starter for the Steelers. Suisham stepped in for Jeff Reed last season and did a nice job for the Steelers. Colon has battled injuries the last two years, but he has played well when healthy at left tackle. Pittsburgh’s counting on him to man the position at a high level, because they cut Flozell Adams and Max Starks as they gave Colon a five-year, $29 million deal. Scott adds solid depth at several positions. Sepulveda returns to punt for Pittsburgh once again. He’s been effective when healthy. Hoke and Moore are key players at their positions. Gilmore helps to replace departed backup TE Matt Spaeth. Chiefs (add WR Steve Breaston, NT Kelly Gregg, ILB Brandon Siler and RB LeRon McClain; keep DE Tamba Hali, C Casey Wiegmann, WR Terrance Copper, S Jon McGraw, and CB Travis Daniels) – Breaston showed promise in Arizona, especially when now Chiefs head coach Todd Haley was the offensive coordinator there. He comes in to provide a complement to Dwayne Bowe as first-rounder Jonathan Baldwin develops. Breaston got a five-year deal that includes $9 million in guaranteed money. Gregg, who played for the Ravens, has been a solid plugger up front who frees the players around him to make plays. He’s a nice replacement for the departed Ron Edwards and could be an upgrade if he can maintain his past performance. Siler is a solid inside linebacker who will help against the run. McClain can play tailback but probably fits in better as a versatile fullback. Hali, the Chiefs’ preeminent pass rusher and franchise player, got a long-term deal – 5 years, $60 million with $35 million guaranteed. It’s a high price, but Hali has earned it. Wiegmann, who has played more than 10,000 consecutive snaps since 2001, got a one-year, $2.25 million contract to remain K.C.’s starting center. Copper, McGraw (who got a one-year deal), and Daniels all add experienced depth, which is key after a no-minicamp offseason. Bengals (add DE Manny Lawson, QB Bruce Gradkowski, LB Thomas Howard, CB Nate Clements, and OG Max-Jean Gilles; keep RBs Cedric Benson and Brian Leonard and S Gibril Wilson) – Lawson is a talented pass rusher who doesn’t have many sacks but still makes an impact. He could spring to life replacing Antwan Odom. He’s certainly worth a one-year, $3 million deal. Gradkowski, who had some success as a starter in Oakland, comes to Cincinnati to be the placeholder until rookie Andy Dalton is ready. Gradkowski played for Jon Gruden in Tampa, so he’ll be comfortable in offensive coordinator Jay Gruden’s system. He was the right fit to be the Bengals’ Week 1 starter. Howard got a two-year, $6.5 million deal to move over from Oakland and step into the starting lineup. Clements, who never lived up to his massive contract in San Francisco, returns to Ohio (where he played college football) to replace Johnathan Joseph in the starting lineup. Gilles is a massive player who can play either guard spot or even fill in at tackle. He got a one-year, $1.15 million deal. Benson has had off-field problems, but he’s been a decent back for the Bengals. The question is whether his career is on the decline given his age. Leonard, who got a two-year deal, is a versatile back who can run, catch, and block. He’s a key contributor to the Bengals’ offense. Wilson was a starting safety last year. He’s OK but not great. 49ers (keep QB Alex Smith, DE Ray McDonald, and C Tony Wragge; add C Jonathan Goodwin, CB Carlos Rogers, S Madieu Williams, PK David Akers and OLB Antwan Applewhite) – In one of the worst kept secrets of the lockout, Smith got a one-year, $5 million deal to be the 2011 starter and placeholder for Colin Kaepernick. McDonald got a much bigger deal to provide sturdy play up front – five years, $20 million with $7 million guaranteed. McDonald pushes the pocket more than most think. Wragge, who got a one-year deal, provides depth at center after the loss of David Baas to the Giants. But Goodwin, who came over from the Saints for a three-year, $10.9 million deal with $4 million in guarantees, should become the starter at the pivot. Rogers, an ex-Redskin, takes over for Nate Clements. Rogers has hands of stone, but he’s pretty good in coverage and may be an upgrade over Clements. Williams fills in at safety, which is a position full of question marks right now. Akers, a long-time Eagle, comes to town to replace injured kicker Joe Nedney, who was cut. Akers has a ton of experience if he can keep his skills intact. Applewhite moves over from San Diego to add depth at an outside linebacker spot that’s been hit hard by free agency. Buccaneers (keep OLB Quincy Black, OG Davin Joseph, and OT Jeremy Trueblood; add P Michael Koenen) – Black, who is the best playmaker among the Bucs’ linebackers, got a big-time deal to stay – five years, $29 million, with $11.5 million guaranteed. He’s playing the weak-side spot that Derrick Brooks made so many plays in for so many years. Joseph is a talented guard who struggled a bit last year but had a Pro Bowl season in 2009. He got a big deal – 7 years, $52.5 million with $19 million guaranteed – to continue to anchor the Bucs’ line. Trueblood is a marginal starter at right tackle, but he still got a two-year deal to ensure continuity on the line. Koenen comes over from Atlanta on a major deal – six years, $19.5 million with $6.5 million guaranteed – to replace Adam Podlesh. Koenen’s also great on kickoffs. Giants (add C-OG David Baas, P Steve Weatherford, QB David Carr, TE Ben Patrick, and DT Gabe Watson; keep RB Ahmad Bradshaw, OT Shawn Andrews, OG-OT Kevin Boothe, DE Mathias Kiwanuka, and WR Michael Clayton) – After purging three starting offensive linemen, the Giants started the rebuilding process with Baas, who proved with San Francisco that he can be an effective starter at center as well as guard. Boothe got a two-year deal to provide depth at tackle, and he may get a chance to start at left guard. Kiwanuka is a versatile player who has contributed both at defensive end and at strong-side linebacker. With Osi Umenyiora threatening a holdout, the Giants couldn’t afford to let Kiwanuka leave. Weatherford, an ex-Jet, is an upgrade over last year’s punter for the Giants. Plus, he has experience kicking in the Meadowlands. Bradshaw tested the market but stayed in Big Blue with a four-year, $18 million deal with $9 million in guarantees. He’s the best back the Giants have. Patrick is a solid blocker but not much of a receiver. Watson and Clayton were high picks who disappointed elsewhere but still have talent. Andrews, who had been cut, returns and could start again. Carr returns as Eli Manning’s backup after a year in San Francisco. Saints (add RB Darren Sproles, NT Aubrayo Franklin, CB Fabian Washington, and OTs Alex Barron and George Foster; keep WR Lance Moore, OTs Jermon Bushrod and Zach Strief, LBs Scott Shanle and Danny Clark, Safeties Roman Harper and Chris Reis, and CB Leigh Torrence, add LB Will Herring) – After trading Reggie Bush, the Saints signed Sproles, who proved in San Diego that he can be a game changer as a returner, runner and receiver if used correctly. The Saints’ RB depth should let them feature the diminutive Sproles without wearing him out. If they can do that, the four-year, $14 million deal with $6 million guaranteed will look like a bargain. Franklin came to town on a one-year deal that significantly upgrades the Saints’ front line. (We’ll analyze that addition further soon.) Harper got a four-year, $28.5 million deal with $16 million guaranteed to return as the starting strong safety. He’s been a very solid player for New Orleans. Moore, an ideal slot receiver, got a five-year deal to stay in New Orleans. He can be a real X-factor for the offense, so it makes sense for the Saints to keep him. Bushrod has started at left tackle for the last two years for the Saints and has held up OK. He had other options in free -agency but wanted to return to New Orleans on a two-year deal. Torrence is a backup corner and special-teams ace, as is Reis, a backup safety. Herring, an ex-Seahawk, adds depth at linebacker, in addition to solid contributors Shanle (two years, $4 million) and Clark. Washington adds depth to help replace the departed Usama Young. Strief is a solid swing tackle, but he’ll have to beat out former first-round picks Barron and Foster to keep his job. Barron and Foster have been disappointments elsewhere. Bills (keep CB Drayton Florence; add S Brad Smith, LB Nick Barnett, and QB Tyler Thigpen) – Florence played well for the Bills last year, his first in Buffalo. His reward is a three-year, $15 million deal. Thigpen started for the Chiefs in 2008, but his skills fit a Pistol offense that few teams use. Bills head coach Chan Gailey was the offensive coordinator during Thigpen’s best NFL season, so he will be able to make the most of the QB’s skills if Ryan Fitzpatrick gets hurt or falters. This is a good match of player and coach for a backup quarterback. Smith, an ex-Jet, got a four-year, $15 million contract. He can make an impact as a slot receiver, option quarterback, and kick returner, which creates a lot of options for the Bills. Let’s just hope having Smith run the Pistol isn’t one of them. Barnett, who was cut by the Packers, will help replace Paul Posluszny. Barnett, who’s more physical than Posluszny, should fit the 3-4 defense better than the former Bill did. Barnett got a three-year, $12 million deal with $6 million guaranteed. Vikings (keep PK Ryan Longwell and OT Ryan Cook; add WRs Michael Jenkins and Devin Aromashodu, DL Remi Ayodele, and OT Charlie Johnson)– Longwell has been a reliable kicker for the Vikings, so they anted up to keep him with a four-year, $12 million deal with a $3.5 million signing bonus. Jenkins, who got a three-year deal, never lived up to his status as a first-round pick in Atlanta, but he has great size and speed and is a willing blocker. He won’t replace Sidney Rice, but he’s going to get a chance to. At the least, his presence will allow the Vikings to continue to play Percy Harvin in the slot. Aromashodu showed some promise with the Bears, but he fell out of favor last season and was not tendered a free-agent contract. Still, his ability and size makes him worth a shot for the Vikings, especially since their biggest target, Sidney Rice, left in free agency. Ayodele did a nice job as a rotation player for the Saints. He’ll provide depth behind the Williams wall and help to fill in during their suspensions. Johnson and Cook add depth at offensive tackle, and Johnson may start after Bryant McKinnie’s release. Cardinals (add OGs Daryn Colledge and Floyd Womack, LB Stewart Bradley, WR Chansi Stuckey, CB Richard Marshall, and TE s Todd Heap and Jeff King) – Colledge, who was a starter for the Packers, moves over to provide help at a big trouble spot. He’ll also take over some of the veteran leadership role that the retired Alan Faneca had last year. Womack, an ex-Brown, is versatile enough to fill in at guard or tackle. He’s an ideal sixth lineman. Bradley is a big, physical inside linebacker who has seen his skill sapped by injuries the last two years. Still, he’s worth a look to see if he can return to form. Stuckey adds depth at receiver after the departure of Steve Breaston. Marshall’s 2010 season wasn’t good, but in previous years he was a good starter for the Panthers. He will get a chance to start in place of Dominique Rodgers-Cromartie, and on a one-year deal he’s a nice addition. Heap, a longtime Raven, got a two-year deal to return to Arizona, where he played his college ball. Heap will add an element that hasn’t been in the Cardinals passing game in past years. King, a solid blocker who also has good receiving skills, becomes the tight end complement for Heap and rookie Robert Housler in Arizona. King got a one-year deal. Browns (add S Usama Young, RB Brandon Jackson and CB Dmitri Patterson; keep PK Phil Dawson, TE Evan Moore and DE Jayme Mitchell) – Dawson, a reliable kicker who was the Browns’ franchise player, signed for the guaranteed one-year tender of about $3 million. Young, an ex-Saint, can play corner but likely fits in as a starting free safety with the Browns. He brings ability and locker-room leadership to the mix. Patterson, an ex-Eagle, was exposed as a starter last year, but he’s good enough to be a nickel back, and he fills a need position. Moore emerged as a good pass-catching tight end last year and could earn a bigger role. Jackson got a two-year, $4.5 million contract. He fits in as a good third-down back for the West Coast offense, although he showed last year he’s not a starting caliber back. Mitchell didn’t play much after coming over via trade last year, but the Browns see him as a starting tight end in their new 4-3 defense. He got a two-year deal. Packers (keep PK Mason Crosby, WR James Jones and FB John Kuhn) – The Packers re-signed Crosby, who has been a solid kicker even in bad winter weather, to a five-year deal. Jones was looking to move up the depth chart by moving in free agency, but he didn’t find a deal to his liking. His return means the Pack remains incredibly deep at receiver. Kuhn is a blocking full back who can catch and can run in short yardage. He fits the Packers better than any other team, and so re-signing makes sense. Raiders (keep OLB Kamerion Wimbley, S Michael Huff, OT Khalif Barnes, C Samson Satele, OG Justin Smiley, OLB Jarvis Moss and LS Jon Condo; add QB Trent Edwards and OT Stephon Heyer) – Wimbley, the Raiders’ franchise player, had his best season since his rookie year last year, but that doesn’t mean his massive five-year, $48 million contract with a whopping $29 million guaranteed is a good deal. That deal was necessary so that the Raiders didn’t take the full brunt of the franchise tag this year. Huff had a breakout year at safety last year, but he didn’t find big money on the open market. The Raiders happily took him back. Barnes got a one-year deal to return as a starter at tackle while youngsters at the position develop. Moss, whom the Raiders picked up off the scrap heap last year, was a first-round bust in Denver, but he has enough pass-rush ability to be a solid backup at a one-year, $1.25 million price. Condo is a dependable long-snapper for the Raiders’ elite specialists, so he’s worth keeping around. Edwards comes to town as Jason Campbell’s new backup. Satele, Smiley, and Heyer (who got a one-year, $1.7 million deal) add depth at offensive line, and a couple of the trio could end up starting. Dolphins (keep DE Tony McDaniel; add ILB Kevin Burnett, OLBs Jason Trusnik and Jason Taylor, QB Matt Moore, DT Ronald Fields and OT Marc Colombo) – With trade negotiations for Kyle Orton falling apart, the Dolphins added Moore, who was a bust as a starter in Carolina last year but who might be good enough to keep Chad Henne on his toes. Moore’s no Orton, but he should be an average backup. McDaniel got a two-year deal to remain as a backup defensive lineman. Trusnik, most recently with Cleveland, is a solid outside linebacker and special-teams player who provides quality depth behind Koa Misi and Cameron Wake. Trusnik got a two-year deal as well. Taylor does as well, returning to the team he has spent most of his career with for the third time. Taylor can still make a play or two as a featured pass rusher. Burnett got a big deal – five years with $10 million in guarantees – to replace Channing Crowder at inside linebacker. Burnett’s more athletic (and less annoying) than Crowder. Fields is an inside plugger who can back up Paul Soliai. Colombo has ties to Tony Sparano from the Dallas days, and it appears the Dolphins are moving Vernon Carey inside so that Colombo can start at right tackle. But Colombo didn’t really hold up at the position last year, so that plan seems risky. Bears (add P Adam Podlesh, TE Matt Spaeth, WRs Roy Williams and Sam Hurd, RB Marion Barber, DE Vernon Gholston, DT Amobi Okoye, and C Chris Spencer; keep DT Anthony Adams and LB Nick Roach) – After cutting stalwart Brad Maynard, the Bears brought Podlesh over from Jacksonville on a five-year deal worth more than $10 million. The Bears traditionally have among the best special teams in the league, so adding Podlesh’s stronger leg to the mix will make a difference. Spaeth, an ex-Steeler, replaces blocking TE Brandon Manumaleuna. He’s not as bulky but is a better receiver out of short-yardage sets. Williams was a bust in Dallas, but he had his best season with offensive coordinator Mike Martz in Detroit. He’s a worthwhile gamble, especially since the Bears don’t have a receiver with his kind of size. Hurd is a nice depth signing at wide receiver; he’d be a quality fourth option at the position. Adams got a two-year deal to return as a solid tackle who can play over the center. He’s solid and allows the guys around him to make plays. Barber got a two-year, $5 million deal to add some physicality to the running game. The question is whether injuries limited him in Dallas, or whether his career is winding down. Gholston and Okoye, both disappointments as first-round picks, are rebuilding projects for Rod Marinelli, considered one of the best defensive line coaches around. Both got one-year deals, and if Marinelli turns them into forces, it will be a huge win. Roach got a two-year, $4.5 million deal to return as a backup linebacker and special-teams player. After failing to come to a deal with long-time center Olin Kreutz, the Bears added Spencer on a two-year deal. The former first-round pick was never great in Seattle, and his style is more finesse than physical. But O-line coach Mike Tice is one of the best in the league, so he might be able to get a little more out of Spencer’s talent. Lions (add CB Eric Wright, LBs Justin Durant and Stephen Tulloch, and WR Rashied Davis; keep QB Drew Stanton, CBs Chris Houston and Brandon McDonald, OL Dylan Gandy, LB Bobby Carpenter, and PK Dave Rayner) – Wright has played pretty well in Cleveland, and he got a one-year deal to address a huge need area for the Lions. Wright’s at least good to be a top three corner. Houston returns as a starter. He was Detroit’s best corner last year, and he’s good enough to be a solid starter. Detroit couldn’t afford to lose him. Durant, an ex-Jaguar, got a two-year deal to upgrade the linebacking corps that was such a problem last year. Tulloch will be an even bigger upgrade; he was hoping to hit it big in free agency but took a one-year, $3.25 million deal to reunite with Jim Schwartz. The Lions will be glad he did, because he’s a big-time thumper at middle linebacker. Davis, an ex-Bear, is a fine special-teams cover player who can contribute at wideout in a pinch. Stanton, a former second-round pick, played well in relief last year and provides a solid backup option. McDonald played in six games, starting two, as a backup corner last year. Rayner filled in for long-time kicker Jason Hanson after Hanson got hurt; now Rayner has a chance to steal away Hanson’s job. Gandy got a two-year deal. Carpenter returns to add LB depth. Broncos (add RB Willis McGahee, WR David Anderson, TEs Daniel Fells and Dante Rosario, and DT Ty Warren) – McGahee, who had been released by the Ravens, got a four-year, $9.5 million deal to come in as Knowshon Moreno’s backup. It’s a ridiculous deal for an older running back who hasn’t shown much pop in recent years, and the fact that it takes away from Moreno’s carries makes it even worse. Anderson, who was released by the Texans, adds depth at wide receiver. Fells (an ex-Ram) and Rosario (an ex-Panther) have shown pass-catching potential, but neither has been consistent. Still, they should help the passing game. Warren, whom the Patriots cut after he failed a physical, got a two-year, $10 million deal with $2.5 million guaranteed to help the Broncos move to a 4-3. Warren and trade acquisition Brodrick Bunkley now form the center of that defense. Warren has been great at points in his career, but he must prove he is now healthy enough to still play well. Still, he’s a nice and necessary addition for Denver. Patriots (keep OT Matt Light, RB Sammy Morris and RB Kevin Faulk) – Light returns to play left tackle, but now he’s a place holder until Nate Solder is ready. Still, he provides good insurance for the Pats on Tom Brady’s blind side. Morris, a versatile back who takes snaps at tailback and fullback, re-signed on a one-year deal. Faulk, who missed much of last season due to injury, returns as the Patriots’ do-everything back. But with the emergence of young backs, Faulk could face an uphill battle for a roster spot. As we approach the beginning of the new NFL league year (finally), teams are clearing overpaid and/or unwanted players from their rosters. In this post, we discuss the major players released on the eve of training camp. This post is updated through Saturday, July 30. We’ll begin a new post with camp cuts next week. 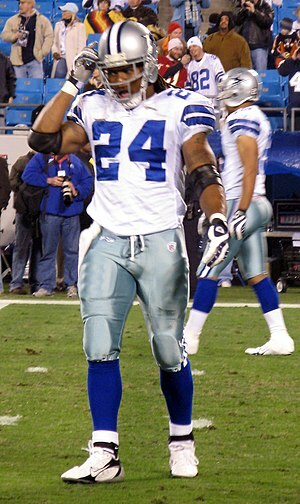 Dallas (cut WR Roy Williams, OG Leonard Davis, RB Marion Barber, OT Marc Colombo and PK Kris Brown) – The Cowboys faced the worst salary-cap situation of any NFL team entering the offseason, and in an effort to clear not just the $16.6 million they were over but also enough room to re-sign Doug Free, they cleared the decks. Williams, whom the Cowboys paid a first-round pick to trade for a couple of years ago, never lived up to expectations. The emergence of Miles Austin and Dez Bryant left Williams behind, and saving $5 million by cutting Williams became the only way to go. Davis, a massive left guard, was slated to make $6 million, so his release is far more about price tag than performance. He’s still playing well enough to be a productive starter somewhere. Barber, who was slated to make $4.75 million, had fallen behind Felix Jones and Tashard Choice. Barber may have taken enough as a pounding that his best days are behind him. Colombo had been starting at right tackle, but injuries have kept him from being the player he was earlier in his career. The Cowboys can find an equivalent replacement at a much lower cost. Brown, who came in when David Buehler was struggling last year, was cut because his veteran salary was a luxury the Cowboys couldn’t afford given their cap situation. Baltimore (cut WR Derrick Mason, TE Todd Heap, RB Willis McGahee, and NT Kelly Gregg) – We discussed the Ravens’ moves in this post. N.Y. Giants (cut C Shaun O’Hara, OG Rich Seubert, OT Shawn Andrews and DT Rocky Bernard) – The Giants have had one of the most stable offensive lines in the league over the past five years, but that all ended when they cut stalwarts O’Hara and Seubert to save $5-plus million. The Giants, who were a little more than $6 million over the cap, then saved $7.5 million by axing Andrews. Andrews, whom the team brought in last year, never really returned to his top form from Philadelphia, so that move makes sense. The O’Hara and Seubert cuts are more puzzling. O’Hara was a Pro Bowl player in 2009 and 2010 before missing 10 games last season. Seubert played guard and filled in at center over the years. The puzzling thing about the move is that the Giants don’t really appear to have a succession plan inside to fortify what has been a strength for years. Bernard didn’t provide the inside push the Giants were hoping, and so when they couldn’t re-do his deal, they let him go. Tennessee (cut QB Vince Young and DT Tony Brown) – It was no surprise that the Titans cut the cord on Young, who has great talent and decent results, but a personality that the franchise tired of. With Matt Hasselbeck and Jake Locker in place, Tennessee has started a new era at quarterback. Young will likely have to rebuild his career as a backup elsewhere. Brown, who failed a physical, has been a starter at defensive tackle for the last four years. If he can get healthy, he can still help a team as a rotation player. Kansas City (cut OG Brian Waters, WR Chris Chambers and TE Brad Cottam) – Waters has been a stalwart of the Chiefs’ line for more than a decade, and has played at a Pro Bowl level. But his play started to slip last year, and the Chiefs made the dispassionate decision to move on. Waters could become a fill-in elsewhere if injuries strike, and one day he’ll be in the Chiefs franchise Hall of Fame for his on-field contributions and his off-field impact, which was huge as well. Chambers was a revelation when the Chiefs acquired him in the middle of the 2009 season, but that was an outlier in his recent play. That meant the contract he got last offseason was way out of line. Cottam, a former third-round pick, got passed in line by Tony Moeaki, and that made him expendable. Green Bay (cut LBs Nick Barnett, Brady Poppinga and Brandon Chillar, DT Justin Harrell and OT Mark Tauscher) – Barnett, who had missed two of the last three years with injury, had fallen behind some of the Packers’ youngsters at linebacker. The former first-round pick wasn’t going to provide $6 million worth of production this year, and so he was a luxury for a team that’s nearly $10 million over the salary cap. He may land with another team, but he won’t make anything near what he did last year. Like Barnett, Poppinga is a former starter who missed a lot of last season due to injuries. Chillar is plagued by a hamstring injury. The Packers have found a ton of young linebackers lately, and they’ll be cheaper than Barnett, Poppinga and Chillar. Harrell, a former first-round draft pick, has struggled with injuries that have kept him from becoming a contributor. The Pack has depth up front, which makes paying Harrell for a limited role unwise. Tauscher, the team’s long-time right tackle, re-signed at midseason last year and played OK. But his high price tag, plus the Pack’s investment in first-round tackles Bryan Bulaga and Derek Sherrod made it impossible for the Pack, up against the cap, to pay Tauscher. San Francisco (cut CB Nate Clements, QB David Carr , OT Eric Heitmann, and PK Joe Nedney) – Clements was once the highest paid cornerback in football, but he never came close to playing up to that paycheck in San Francisco. He’s probably only a borderline starter at this point. Carr, who was slated to make $2.375 million this year, was a bust as a backup last year. Nedney has been a solid kicker for the 49ers after bouncing around earlier in his career, but the 49ers brought in ex-Eagle David Akers to replace him because Nedney has a knee injury. Heitmann has a neck injury and is no longer able to contribute. That’s a loss to the 49ers, who loved taking advantage of Heitmann’s versatility. Atlanta (cut DE Jamaal Anderson and WR Michael Jenkins) – Anderson and Jenkins, both former first-round picks, found roles in Atlanta but never lived up to their draft position. Jenkins is a tall receiver with questionable hands. Anderson never provided much of a pass rush, but he’s pretty good against the run. He is still a starting-caliber player – just not at the price the Falcons were paying. Cleveland (cut QB Jake Delhomme) – Delhomme is a prince of a guy, but his play the last two years hasn’t been up to NFL starting caliber. The Browns signed Delhomme as a placeholder for Colt McCoy, but between injuries and terrible play, McCoy was a better option right from the start. Delhomme will need to fall into a backup role somewhere, but he’s got the team-first personality that will allow him to succeed as one. Pittsburgh (cut OTs Max Starks and Flozell Adams and WR Antwaan Randle El) – Starks got huge money last offseason to be the Steelers’ left tackle of the future, even though he’s more of a swing tackle. But the cost was too high after Starks got hurt last season and as the Steelers paid to keep Willie Colon in free agency. Starks will find a home elsewhere if he can prove he’s healthy. Adams, who was signed after injuries to Starks and Colon last year, wouldn’t take a pay cut for a lesser role. He’s just an average tackle at this point, but his size and experience help. The Steelers brought Randle El back last year, but the emergence of youngsters Mike Wallace and Emmanuel Sanders made him superfluous. New England (cut OLB Tully Banta-Cain, NT Marcus Stroud, DE Ty Warren, TE Alge Crumpler, and OG Nick Kaczur) -Banta-Cain had a 10-sack season in 2009, but he fell back to 5 sacks last season. At age 31 entering the season, he’s probably more of a role player than featured guy at this point. The Patriots should be able to upgrade at pass rusher over what Banta-Cain gave them last year. He also recently had abdominal surgery, which will knock him out of training camp and could affect his ability to play as the season opens. Stroud, who was brought in last year to provide some heft in the middle, got run out of town after the Patriots landed Albert Haynesworth. At this point, the former Pro Bowler should be a two-down player at most. Warren suffered a major injury last year, and so despite his solid play earlier in his career, the Pats cut him so they can try to bring him back at a lower salary. Crumpler is a fine blocking tight end, but he’s not the receiver he once was. He’s a bit player at this point. Kaczur is a versatile backup offensive lineman but not much else. Washington (cut C Casey Rabach, DE Philip Daniels, DT Ma’ake Kemeoatu, Ps Josh Bidwell and Sam Paulescu, OG Mike Williams, WR Roydell Williams, RBs Chad Simpson and Andre Brown) – Rabach has been the Redskins’ starting center for six years, but after its offseason spending spree, Washington decided to move on. Daniels has been a productive defensive end, but with Barry Cofield headed into town, he wouldn’t have been a starter. Kemeoatu couldn’t live up to his contract because of injuries. Mike Williams, a former top-5 pick in Buffalo, served as an average guard at times, but weight problems have kept him from living up to his potential. Roydell Williams, Simpson, Brown, and Paulescu were just bit players. Bidwell spent one year with the Redskins, but his performance wasn’t all that great. The Redskins are going to try to go cheaper at the position. Cincinnati (cut OLB Antwan Odom) – The Bengals signed Odom to a big contract in 2009, and for six games he was perhaps the best pass rusher in the league. But then he blew out his knee, and his play in 2010 wasn’t anywhere close to his previous level. So the Bengals move on. Odom could end up as a low-cost roll of the dice for another 3-4 team. Miami (cut LB Channing Crowder) – Crowder has made more headlines for being mouthy than for his play on the field in the NFL, but he has been an effective run-down player. Still, he’s not nearly as good as Kevin Burnett, who the Dolphins signed to replace him, and he was too pricy to be a backup. Houston (cut DT Amobi Okoye, WR David Anderson, and QB Dan Orlovsky) – Okoye, a former first-round pick, never lived up to his potential in Houston. When the team moved to a 3-4 defense, he didn’t have a natural position, and so he was released. He’s still just 24, so another team may want to take a shot at him. Anderson had some nice moments but was never going to be more than a No. 4 receiver in Houston. Orlovsky was replaced by Matt Leinart and released; he landed immediately in Indianapolis. Jacksonville (cut DE Derrick Harvey) – Harvey, a former top 10 pick, was a complete bust, and the Jaguars finally gave up on him. He has to hope that someone views him as a reclamation project so he can get a minor salary to play somewhere else. Carolina (cut PK John Kasay, DEs Tyler Brayton and Hilee Taylor, and DT Ed Johnson) – Kasay, who joined the Panthers as a free agent in their inaugural season in 1995, has been not only a productive and reliable kicker but a fan and owner favorite. He in many ways has been the conscience of the team throughout his 16 years there, and he will likely be inducted into the team’s Ring of Honor. And even though he’s in his 40s, he’s maintained solid percentages and continued to hit plenty of 50-yard-plus field goals. But he can no longer kick off, and so the Panthers moved on by signing Olindo Mare. Kasay is good enough to hook on elsewhere, and he would be a terrific fill-in if a contender’s kicker gets hurt at some point this season. Brayton was a solid citizen and a decent but not great end against the run. But his pricetag is high, and given the Panthers’ spending spree it was out of line compared to production. Taylor was a draft pick project who never panned out. Johnson got a second chance in Carolina after off-field issues cost him his career with the Colts, but his play on the field wasn’t good enough to keep him around. Seattle (cut LB Lofa Tatupu) – After failing to agree on a renegotiated contract, the Seahawks, cut Tatupu, a former Pro Bowler whose first three seasons were terrific but whose last three have been just so-so. Tatupu is a 4-3 middle linebacker, so his options on the market could be limited. The Seahawks, meanwhile, can turn to David Hawthorne, who played well in the middle when Tatupu was out in 2009. Indianapolis (cut CB Kelvin Hayden) – Hayden, a former second-round pick, rose to prominence with an interception return for a touchdown against the Bears, and he emerged as a quality starter in 2007. But injuries have cost him time the last three seasons, and the Colts’ young corners have stepped up to the point that Hayden became expendable. Arizona (cut QB Derek Anderson and LB Gerald Hayes) – Anderson was a bust as a starter last year, and with Kevin Kolb likely headed to town, he’s no longer needed. John Skelton or Max Hall will need to emerge as Kolb’s backup, which is feasible. Hayes was slated to make $4.25 million, but he can’t provide the bang for that many bucks. St. Louis (OG Jacob Bell) – The Rams added Bell from the Titans last offseason, but his play didn’t hold muster. So after the team inked Harvey Dahl, they let Bell go, after Bell refused to cut his salary from the $6 million he was slated to make in 2011. Bell is still good enough to be a marginal starter, and he wasn’t going to get that chance in St. Louis any longer. UPDATE: After reports of the cut, Bell was still in St. Louis. He agreed to a pay cut and kept a roster spot. New Orleans (cut CB Randall Gay) – The Saints have added a ton of depth at cornerback in the draft the last three years, and so Gay became expendable. Gay was OK, but he didn’t play up to his contract, and New Orleans needed to make room for youngsters. Philadelphia (cut FB Leonard Weaver) – Weaver had a fine 2009 season in Philadelphia after joining the Eagles as a free agent, but a major knee injury last year put his career in question. He failed his physical and was released. Detroit (cut WR Bryant Johnson and LB Jordon Dizon) – Johnson, who was slated to make $3.2 million this year, has fallen down the depth chart in Detroit with the addition of Nate Burleson last year and the drafting of Titus Young this year. Johnson had just 18 catches last year, and despite his impressive size, he’s never been a top-flight receiver. Dizon, a former second-round pick, never lived up to his promise, in part because of injuries. He didn’t play at all last season. Denver (cut RB Correll Buckhalter and S Renaldo Hill) -Buckhalter’s first year in Denver was a strong one, but he tore his ACL last year, which makes his return to prominence at age 31 unlikely. Hill was one of the imports who was supposed to revitalize the defense under Josh McDaniels, but his performance in Denver didn’t live up to his contract. Still, he could be an effective veteran fill in for some team. Minnesota (cut S Madieu Williams and DT Jimmy Kennedy) – Williams got a big contract a couple of years ago, but he was a below-average safety with an above-average price tag. The Vikings picked Kennedy, a former first-rounder in St. Louis, off the scrap heap three years ago, and they got a good season out of him in 2009. But he fell off last year, which meant he wasn’t worth his seven-figure cap price in 2011. Chicago (cut TE Brandon Manumaleuna) – The Bears inked Manumaleuna to a big contract last offseason to be their blocking tight end, but his play was disappointing from the start. N.Y. Jets (cut QBs Mark Brunell and Kevin O’Connell) – After drafting Greg McElroy, the Jets cleared the decks with their backup quarterbacks. Here are some first thoughts on the first round of the 2011 NFL draft. We’ll do a review of every team after the entire draft is complete. *The Panthers did what they had to do in taking Cam Newton. I never understood the national questions about whether the team would actually take Newton; it became clear early on that Newton was Carolina’s guy. Yes, there is some bust potential, but there is also tremendous upside. The other thing that has shocked me about Newton is how many fans simply don’t like him. He is very divisive among the Panthers’ fanbase. Still, that’s nothing a few wins won’t cure. *Cleveland was a big winner as it traded down from 6 to 27 so that the Falcons could take WR Julio Jones. The Browns added an extra second-round pick and fourth-round pick this year, plus 2012 first- and fourth-rounders. That’s a huge haul – especially when you compare it to the piddling return the Browns got for moving from 5 to 22 just two years ago. Cleveland ended up picking NT Phil Taylor of Baylor at 21 (giving up a third-rounder in the process), but they’re still well-equipped to make a big splash in Day 2 of the draft. *Atlanta, meanwhile, takes a big risk on Jones. But there wasn’t another receiver on the board anywhere close to Jones, and that kind of offensive explosiveness across from Roddy White is one of Atlanta’s few gaping holes. The Falcons are gambling that they’ll be contenders once again, which will limit the value of their 2012 first-rounder. But you have to admire a contender that goes for it in this fashion. *It looked as though the quarterback class would get incredibly crazy in this draft when the Titans took Jake Locker at No. 8. (Who would have seen that coming?) Blaine Gabbert’s draft freefall ended when the Jaguars gave up their second-rounder to move up to 10 to get him. The Vikings then were left to take the best QB on their board, Christian Ponder, at 12. We like Jacksonville’s move the best. Gabbert may never be a great quarterback, but he can be an above-average one, and top-12 signal callers are hard to find. Incumbent David Garrard is basically a league average quarterback, and Gabbert can be better. When he fell into the neighborhood of their pick, the Jaguars had to act. Locker is a great leader and the anti-Vince Young in Tennessee, but we’re still concerned about whether he can turn his potential into production. Ponder is a system-specific quarterback, and the Vikings had to reach to get him because their trade-down attempts failed. We prefer Andy Dalton (still on the board) to Ponder, but the Vikings had to get an answer at quarterback, and Ponder could be that. *Found it funny that the 49ers took another Al Smith in the first round. As we posted on Twitter, they can only hope Aldon (a pass-rusher out of Missouri) turns out to be a better investment than Alex was. *The Patriots once again used their draft currency to add a future first-round pick. The thing about trading for future first-rounders is that once you start down the path, it’s easy to stay on that path. The reverse is also true – when you start trading away future picks, it’s hard to stop. That’s the hole that the Panthers are in right now. New England now has five picks today, including the first pick of the second round – which could become the Andy Dalton sweepstakes for teams like the Bengals, 49ers, and Bills who didn’t get a quarterback in the first round. And with so many picks, the Patriots are perfectly positioned to take a chance on DaQuan Bowers, the defensive end with major knee questions and also major talent. The Pats need a pass rush, and Bowers would fit the bill – even if he can only play a few years. We did like the Patriots’ first pick, OT Nate Solder. He has incredible talent, and the Patriots will give him top-flight coaching. *I didn’t love the fact that the Saints gave up a future first-rounder to get Mark Ingram. Ingram strikes us as a good, not great, back, and if New Orleans’ pick is in the top 20 next year, they will have overpaid to get him. But the Saints consider themselves contenders, and like the Falcons they added one of the few rookies who can make an offensive impact right away. Adding Cameron Jordan when they did was a better move, especially if Jordan can grow into a 4-3 defensive end while maintaining some pass-rush presence. 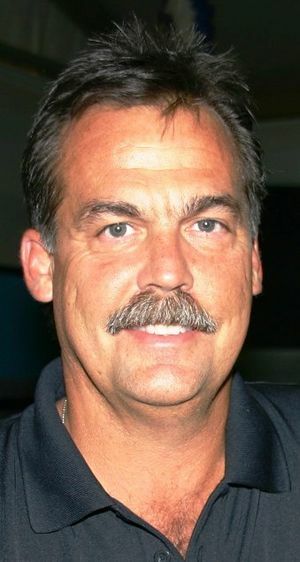 We thought the NFL head-coaching carousel had stopped spinning, but the Titans had a surprise in store Thursday as they announced they were parting ways with longtime head coach Jeff Fisher. Fisher had been in charge of the Titans since their final year as the Houston Oilers, way back in 1994. Since leading the franchise through an extended location switch that included a stopover in Memphis, Fisher has put together a solid 142-120 regular-season record and been the most successful former interim coach in the last two decades. Fisher’s run included six playoff berths and a trip to Super Bowl 34, the first such trip in the franchise’s history. Fisher was a picture of stability – never changing his hardnosed style. He’s had strong running games and aggressive defenses – spurring former coordinators Gregg Williams and Jim Schwartz into head-coaching jobs. But Fisher clashed with owner Bud Adams this year over quarterback Vince Young, a favorite of the owner. Young is reportedly still on the way out, but that clash made the specter of a lame-duck contract year in 2011 untenable for both Fisher and the Titans. Now he’s on the way out, leaving the Titans without the figurehead who has defined them for so many years. The timing of Fisher’s departure, after the other seven head-coaching vacancies were already filled, means that he won’t be coaching this year. That may have been the plan, since the Titans are on the hook for his 2011 salary anyway. Don’t fret for Fisher – he’ll have options in 2012 if he wants to return to coaching. He’s also been incredibly media-friendly over the years, so landing a job with a network – even for just a year – is possible as well. (To show you Fisher’s media-friendly ways: When I was at Pro Football Weekly, I was doing a story and wanted a quote from Fisher. I called the team’s PR staff to ask them to ask Fisher one question and forward me the answer. Instead, Fisher preferred to call me for a quick conversation on the topic. No other head coach ever went that far to be available to an ink-stained wretch like me.) Fisher will land on his feet, and will have a chance to build on a resume that’s pretty dang impressive even if it doesn’t feature a Super Bowl ring. 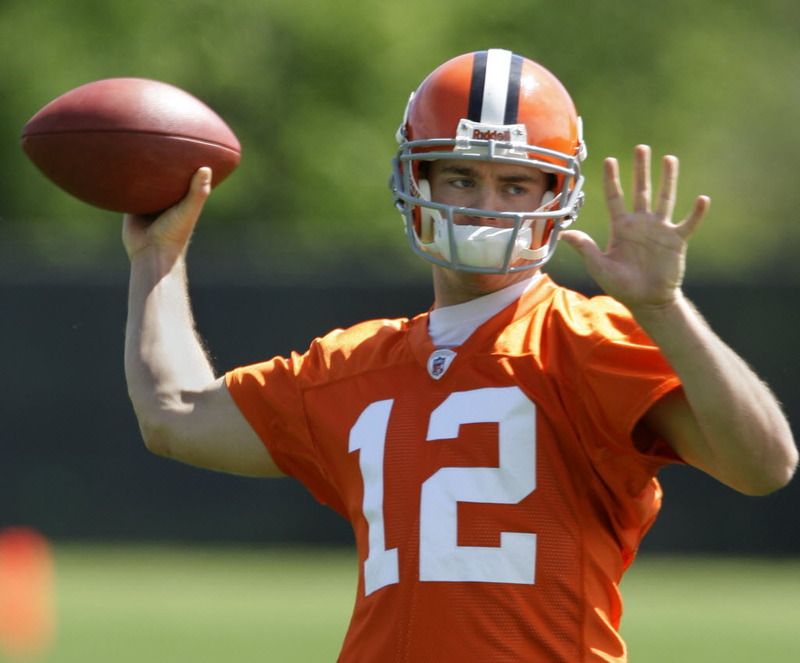 Can Colt McCoy be the answer to the Browns' QB problems? As a companion to our piece on potential quarterback solutions for 2011, we’re breaking down the NFL teams that face quarterback problems in the coming season. We’ll analyze what the problem is and what kind of quarterback might be a solution. Teams are listed alphabetically.